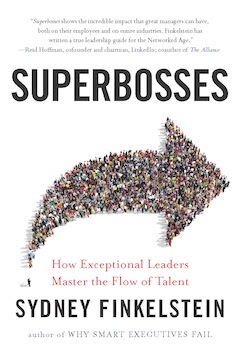 While the target audience for Sydney Finkelstein’s newest book, Superbosses: How Exceptional Bosses Master the Flow of Talent, is businesspeople, it is clear that his ideas carry well into many aspects of life, not just work, and not just business. Finkelstein, who is a professor at the Tuck School of Business at Dartmouth College in Hanover, N.H., is originally from Montreal. He has authored 21 books and more than 80 academic articles. 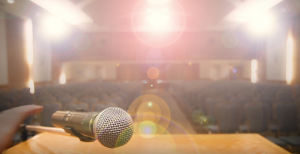 Ten years ago, Finkelstein struck a note with his book Why Smart Executives Fail, and he was invited to give keynote speeches and to consult for several companies. The Jewish Independent spoke with Finkelstein around the time of his March 8 talk and book signing at Concordia University in Montreal. Superbosses, on the other hand, wholly prioritized the idea of having great teams and great organizations of great people, understanding that this is the best way to succeed, he said. “The WSEF leaders didn’t understand that. So, that’s a gigantic difference in mindset – thinking about other people and what role they can play. While most leaders, good or bad, carry with them a certain amount of ego due to their previous endeavors’ successes, Finkelstein said superbosses find ways to put that ego aside. “This may be the best first thing for people to work on – having a degree of humility about yourself, your own accomplishments and your own personality even,” he said. “Humility doesn’t mean you’re afraid to take on challenges. It means you understand that there are other people who play a role and that you can’t let your ego run away with things. Another important skill Finkelstein advised honing is open-mindedness, ranked highly with its close cousin, curiosity. These are attributes he regularly discusses with boards of directors and management teams. Courage is on the list, too – the kind of courage that challenges convention, and the ability to raise your voice when something is not going the way you think it should. “This doesn’t mean you’re going to win the argument or get your way,” said Finkelstein. “It’s about trying to improve the eventual outcome or situation you’re in. The next item on the list is accountability – recognizing you need to be responsible for your own actions and behavior, as well as instilling a sense of accountability in others. “I think, by the way, that most people prefer not to be held personally accountable,” said Finkelstein. “I don’t think people should assume people would automatically be accountable. I think people enjoy it when it happens, but they don’t automatically do it. This is particularly relevant in volunteer organizations. “Being a teacher, a nurturer of talent, is something anyone can do, no matter what their job is,” he continued. “You don’t have to be a famous CEO. You can be an average person doing whatever you’re doing. But, if you spend some time and energy acting to help others get better, often through teaching, sharing and listening … I think that’s a giant differentiator and extremely meaningful in people’s lives. If you have an impact in helping other people, it makes you feel good, too. As the book’s subtitle suggests, Finkelstein sees managing the flow of talent as one of the most important things for superbosses to do, and he segments this aspect into three categories. “One is finding good people,” he said. “Everyone needs to hire when you’re growing, you need to hire and find people…. That’s the first stage in this flow of talent. “The second stage, which not everyone engages in, is developing that talent, helping them get better. That’s managing the flow of that talent in a team/organization for a number of years. “The third stage is managing the flow of talent sometimes even outside your own region, division or role in the company. Very few managers, leaders or bosses think a lot about … how they should manage people out of the organization. I’m talking about good and very good performers. To see where you sit on the superbosses scale, Finkelstein invites readers to visit superbosses.com and take a 10-12 question quiz.